AS3/8x1 - 3/8x1 - Miniature Shock Absorbers - Automation Control - Products - ACE Controls Inc. 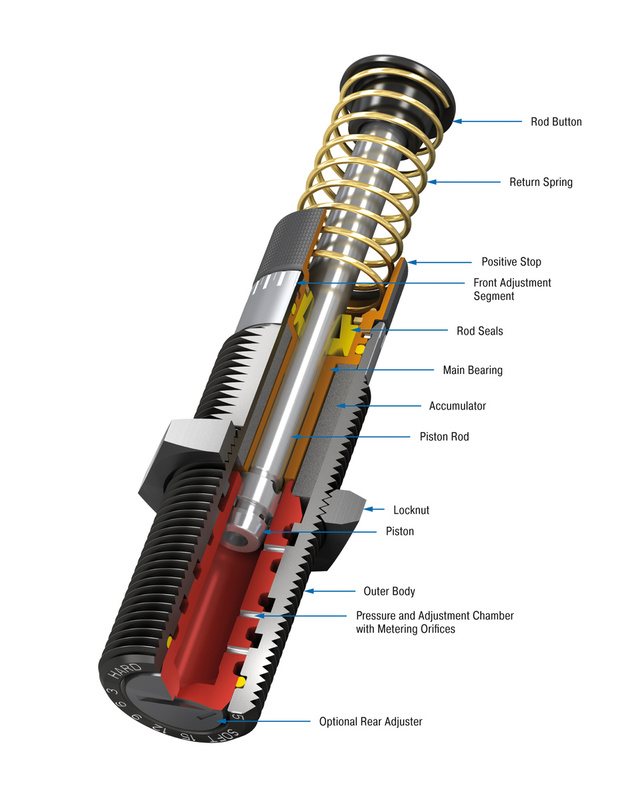 ACE Controls 3/8x1" bore adjustable miniature shock absorber offers high energy capacity and a wide effective weight range for handling a variety of applications. 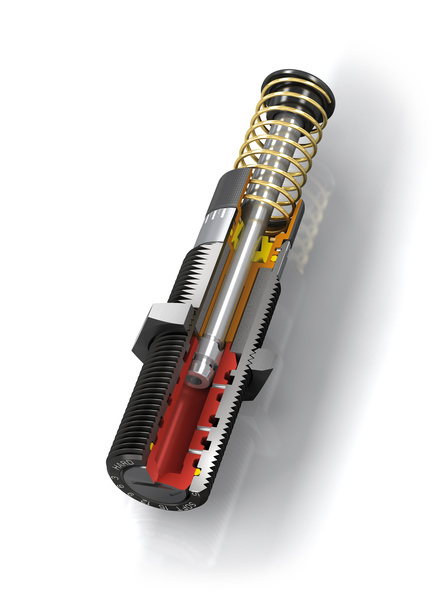 A unique feature of the multi-orifice 3/8x1" bore is the optional rear slot adjuster. Adjustment can be made by turning the front adjuster to the preferred setting, or by turning the rear slot adjuster if desired. Adjustment Adjustment can be made by turning the front adjuster to the preferred setting, or by turning the rear slot adjuster if desired. Maximum side load depends on application. For additional information contact ACE Controls’ Applications Department. Lock nut included with each shock absorber.